Ferodo's Competition CP1 Racing Brake Pads have the highest friction level available for motorcycle racing. Ferodo's Competition CP1 are Ferodo's best brake pad available for racing. CP1 brake pads help minimize caliper temperatures which give superior feel and control. 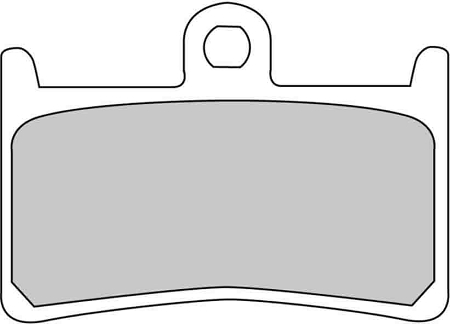 The CP1 brake pads are carbon based composites bound together with a ceramic resin. Ferodo Competition CP1 Brake Pads are for racing only. Must order 1 set per caliper. Order 2 Sets to do both front calipers.